How much time do you spend helping your small people decide on a Halloween costume, create a Halloween costume, and then put the whole thing together on the many nights we celebrate this ‘special night’? Never mind, trying to find something for YOU. 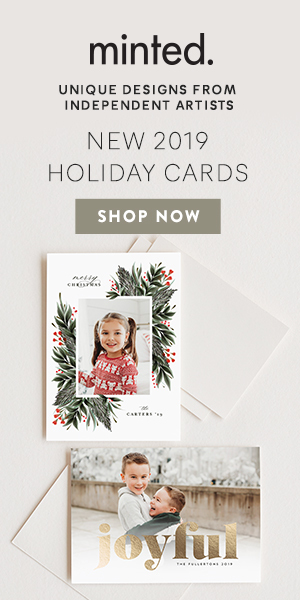 And then there is the time we dedicate to decorating, buying candy (eating candy…wait…is that just me?) sorting candy and then keeping our kiddos from gorging. There is a whole bunch of KID to this holiday, but I swear you can throw some adult fun in as well. And just to prove it, I have created a little video just for you. 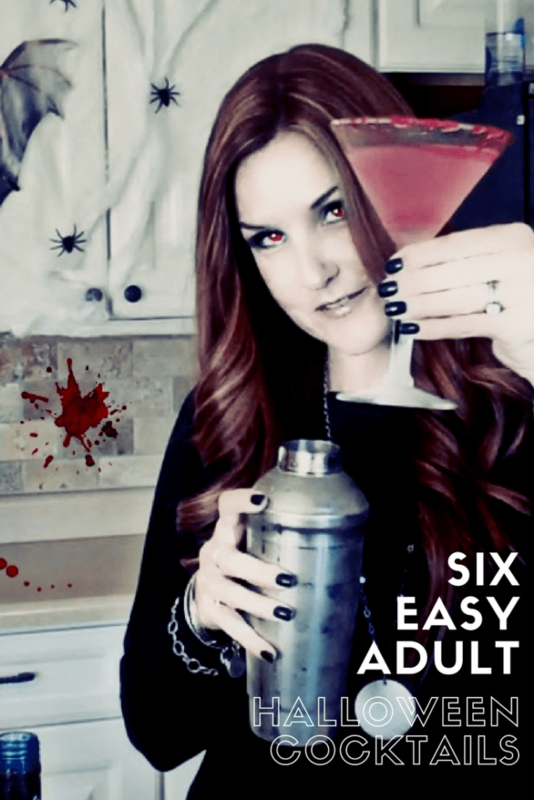 I don’t know if you are contemplating a Halloween get together, or if you just might be feeling festive as you answer the door for the neighborhood kids, but either way, here are SIX Easy and Fun Halloween adult cocktail recipes to keep you in the scary spirit. Do you have any favorite Halloween cocktails? These are the recipes so you can try any (or all) of these! To do: Pour Red Syrup on one plate and red sugar on the other and dip your martini glass in the red syrup until the edge is covered (and dripping), then dip it in the sugar. Freeze (for about 20 minutes). Pour ice and martini into Martini shaker, shake and pour. Cheers! In tall glass, combine 3 ounces (3 shot glasses worth) of the dark vodka with 3 ounces of Kahlua. Put two scoops of vanilla ice cream in a mug and pour the vodka/kahlua mixture over the ice cream and sprinkle with cinnamon. Garnish with spiders and serve immediately. Combine three parts ice, Apple Pucker, two parts whiskey and one part tonic water and pour…. In a tall glass – fill with ice, fill glass 3/4 full with orange juice, add dark vodka. Pour over a spoon to add to drink slowly so it will sit on top of OJ. Drink immediately. Have I told you lately I’m glad you’re here? And that I hope you’ll go trick or treating this year as well? Enjoy and have a wonderful – and safe Halloween.